In 2004, with 11 years' experience as a lawyer for people in need of help, Lori Bencoe founded the Bencoe Law Firm in Albuquerque, New Mexico. 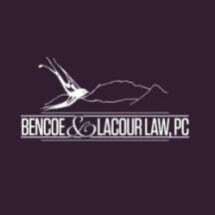 Cherie LaCour joined her in 2006 and in 2008, the firm became Bencoe & LaCour Law PC. Our professional calling is to help people who are wronged by corporations, government or individuals whose wrongful actions or decisions cause serious harm or death. We try to help the family heal and move forward, and also to hold the corporation accountable for the wrong, with the goal of improving safety standards for others. Our firm is passionate about dignity and safety in healthcare, and about corporate and governmental responsibility. We evaluate each potential client's claim carefully, by studying the necessary records and literature or construction codes, and consulting with experts in the area of healthcare, traffic safety or engineering needed, to determine if wrongdoing has occurred and if so, how to prove it at trial. When we accept a case, we commit to prepare it as though it were going to trial. Our experience with medical issues enables us to help clients with all types of injuries.